This article gives a brief explanation of the Freedom extensions for Chrome, Firefox and Opera and provides installation instructions. However, certain types of URLs and certain browsers do not reliably display this green screen. To fix this issue, we've created browser extensions for Chrome, Firefox and Opera! 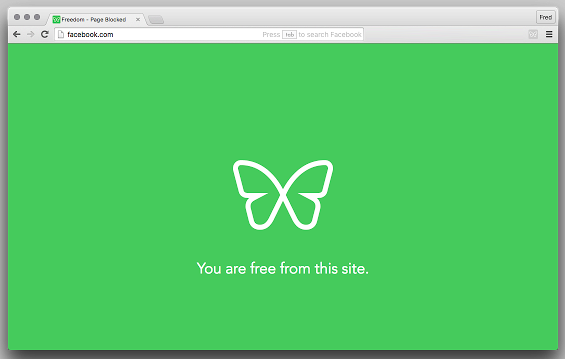 The Freedom browser extension extends the functionality of Freedom in Chrome, Firefox, and Opera browsers and ensures that all of your blocked sites display with the Freedom green screen! First, sign up for a Freedom account and download the Freedom Mac or Windows desktop app if you haven't already! 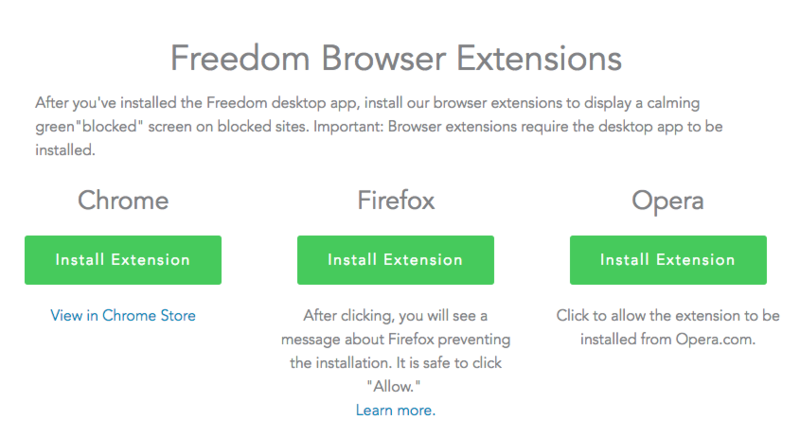 Q: What does the Freedom browser extension do? A: The Freedom browser extension ensures that your all your blocked sites display the calming Freedom green screen and assists with blocking in certain instances. Q: Why isn’t it working? A: It’s likely that you’re not logged in to the Freedom Mac or Windows desktop app. Open the app on your computer and login with your Freedom account credentials. Once you’re logged in, simply start a Freedom session on your Mac or Windows computer (start the session from the app itself or from your Freedom dashboard) and the browser extension will do its thing.